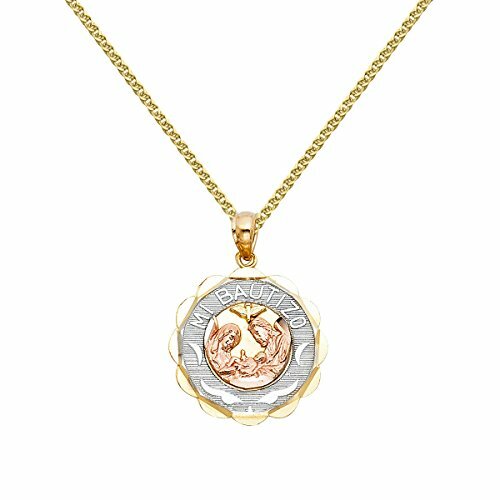 Crafted of 14-karat gold, this ornate, tri-colored pendant depicts a yellow dove over a rose gold scene of a baby's baptism. A round white gold circle envelops the scene and is display 'MI BAUTIZO' - Spanish for my baptism. The pendant is completed with a matching 14k yellow gold 1.5-mm flat wheat chain in 16 inches length.